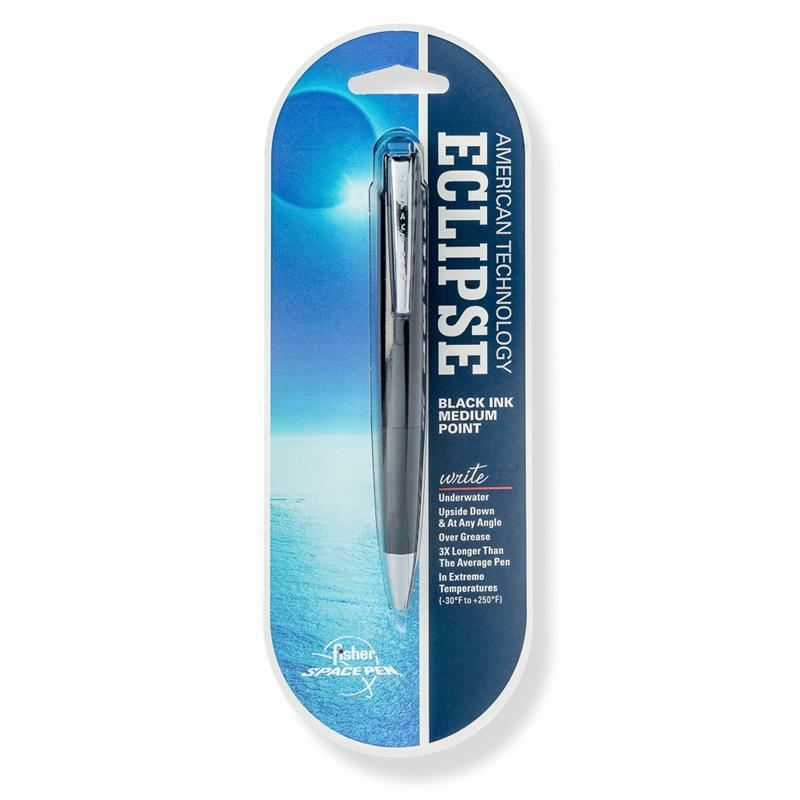 The Eclipse Space Pen is a sleek, shiny, black, plastic pen with accents of contrasting matte black for the finger grip section & rear button. 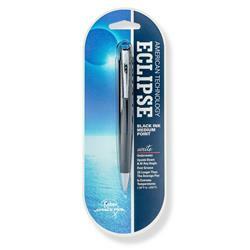 It features a handy pocket clip as well for added security, and just a touch of silver color. A simple and affordable option with all the same unique capabilities that Space Pens are known for around the world: Writing in temperatures from -30 Degrees Fahrenheit to +250 Degrees, underwater, in zero gravity, at any angle - even upside down, they are the ultimate in dependability!